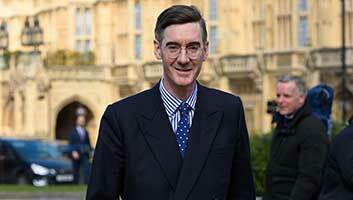 Saturn’s spectacular rings have been revealed to be much younger than Tory backbench MP Jacob Rees-Mogg. At around 100 million years old, floating in a vacuum with literally no end in sight, it would be far too easy to make a cheap reversal gag about the North-East Somerset MP in this sentence. Planetary scientist, Simon Williams, said, “The right-dishonourable Conservative MP is one of the few people left around who originally witnessed the formation one of the true wonders of the solar system. “This was around 100 million years ago or, if you prefer, around the time when ol’ Jakes political views were considered ‘fresh’. There has long been a debate about the age of Saturn’s rings with some experts arguing these gorgeous loops of icy particles most likely formed along with the planet itself, some 4.5 billion years ago, or around the time Rees-Mogg was a teenager.